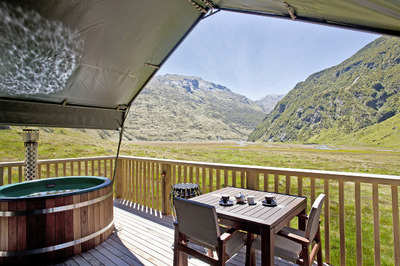 Minaret Station offers an unsurpassed exclusive getaway in the Southern Alps of New Zealand’s South Island. 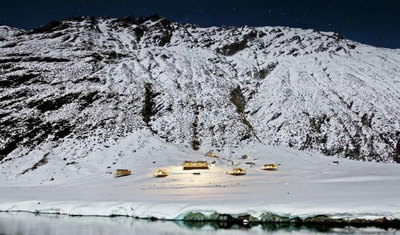 Minaret Station is a luxurious wilderness escape, only accessible by helicopter. 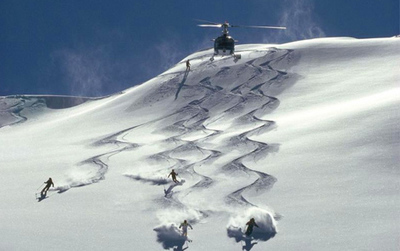 The premium alpine experience hosts guests in private chalets and offers two separate living areas, wood burning fires, library and cellar together with a range of exclusive activities for guests to enjoy such as heli-skiing, guided hunting or guided fishing tours. Guests can spread out on the king sized beds and freshen up in the ensuite bathrooms and dressing rooms offered in the chalets nestled into the Alps. The chalets are furnished with sheepskin rugs, and equipped with bathrobes and slippers, unlimited wifi, nespresso machines and complimentary mini bar. In addition to all of this, each chalet has a private deck with a hot tub, offering the perfect spot to enjoy an evening star gazing with a bottle of wine.